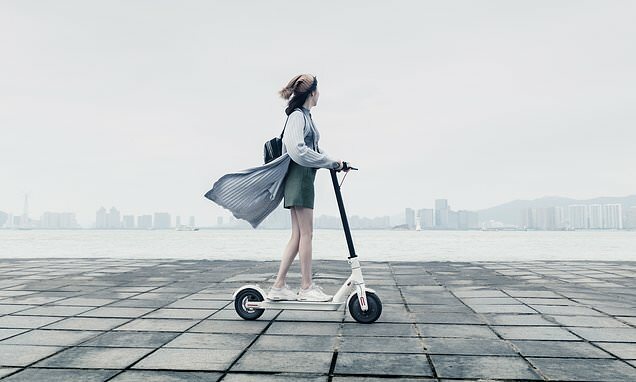 The flaw resides in the scooter's Bluetooth module, which lets users control the device remotely. For example, using Bluetooth, customers can lock the scooter on the app handsfree. Rani Idan, a security researcher at Zimperium, found that a hacker could easily connect to the scooter with Bluetooth and without having to enter a password. 'The password is only validated on the application side, but the scooter itself doesn’t keep track of the authentication state,' Idan said. Idan and the other researchers then took it a step further and exploited this flaw to install malware on the scooter. The scooter didn't recognize that unauthorized software had been installed onto it. Once the malware is installed, hackers have full control over the scooter, allowing them to lock it. Using the malware, hackers can control any scooter that's within 328ft of their location.